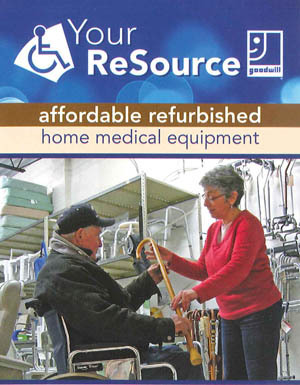 Another great NJ elder care resource: Goodwill Home Medical Equipment (formerly Your ReSource). Goodwill accepts used home medical equipment donations, then reconditions them to sell at a low cost. Visit their showroom at 2901 Brunswick Pike in Lawrenceville, NJ, call them at 609-812-2210, or go to their website www.goodwillhomemedical.org for more information. Donations are accepted at their Lawrenceville location, or at any Goodwill Stores in selected NJ/PA counties.